Much has already been said about anorexic ballet dancers, but that doesn’t mean the problem has gone away. Young girls within today’s culture experience crushing pressure to be thin and attractive. Eating disorders, including anorexia nervosa, bulimia nervosa, binge eating disorder and EDNOS (Eating Disorder Not Otherwise Specified) can all have life threatening consequences. Highest among white middle and upper class females under the age of 25, one in a hundred girls deal with some kind of eating disorder. 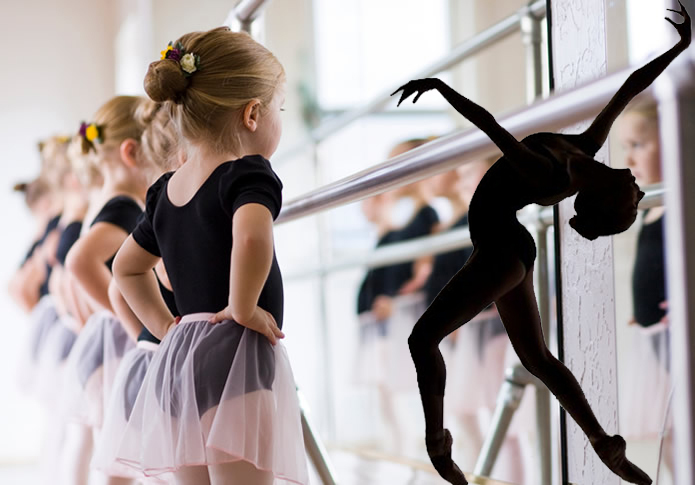 In ballet, one in five girls have had an eating disorder. A 2013 NIH Study revealed the following percentage of dancers dealing with an eating disorder. 12% of dancers and 16.4% of ballet dancers reported having an eating disorder. A dancer is three times more likely to have anorexia, bulimia and EDNOS (Eating Disorder Not Otherwise Specified) as the average adolescent girl. George Balanchine founded the School of American Ballet and the New York City Ballet and the dancers that he chose set the standard for American ballet. He created the current dancer’s body; he told dancers that he wanted to “see their bones.” He was known for his “black and white” ballets that emphasized the lines of the dancers’ bodies from the Michelangelo hand to pointe shoes. Italian ballerina Maria Taglioni was the first to dance on pointe in the early 1830s, but George Balanchine made dancing on pointe the norm. He loved how it elongated the dancers’ legs and created a magical illusion of floating on air. Suzanne Farrel, Balanchine’s muse, had long legs, a short torso, small breasts, a long neck and a small head. This is the aesthetic ideal for dancers as young as 8 years old auditioning for the School of American Ballet. Principal dancer, Misty Copeland, was originally rejected partly because she was too muscular and her bust was larger than the Balanchine ideal. Jenifer Ringer recently retired from dancing after 25 years in the New York City Ballet. She actually struggled with over eating caused by the stress of dancing as a teenager. Ringer describes her previous unhealthy relationship with food in her memoir: “I would overeat, and then I would overexercise. I had lost any sense of a center for self-esteem and self-worth. I either was relying on my own perfectionist idea, or I was basing it on the ballet world’s idea of success, which I wasn’t living up to because I was overweight.” It took leaving ballet to develop the thick skin she needed to succeed in dance. Unlike other sports, ballet dancers are acutely aware of what their bodies look like. Wearing skin-tight clothes, they dance in front of larger mirrors all day long. Competitive ballet is constantly comparing dancers: who can jump farthest, dance hardest, and look most like a ballerina. Maintaining a lower weight allows dancers to move easily, land softer, and achieve long and strenuous lifts. Another factor in eating disorders is related to control. Self-discipline and structure is a fundamental part of ballet. Having a sense of control over your body and your competition is powerful for ballerinas. The same discipline that a ballerina uses to master a skill after hours of practice is the same force of will she uses to deny herself food. The argument that ballerinas need to be light weight in order to achieve lifts and jumps with their dance partner falls flat. Famous dancers Jeff Gribler and Vane Vest dislike partnering with underweight dancers. Gribler says “It’s easy to bruise a woman when you partner, and if she seems too frail, you don’t want to grip too hard.” Vest says “you partner a woman and lift her at the waist and you want to touch something. These skinny ballerinas, it’s awful…how do you do a pas de deux with one of these girls?” European ballerinas weigh on average more than American ballerinas. Studies show that girls begin to express concern about becoming too fat as early as age six. Most ballet dancers start training at age seven, dreaming of becoming professional ballerinas who weigh 105 lbs at 5’6” tall. Learning about proper nutrition is the best way to take control over your own health. Ballet companies around the world take healthy eating and eating disorders very seriously, with great programs to help their dancers stay healthy. The best way for a young dancer to achieve her goals is to perfect her dancing and not her weight. Melanie Carbine currently writes for several education blogs, vlogs about her travels, and teaches middle school in the DC Metro Area.